Disclaimer: This was written without really some in-depth information, such as the amount of university graduates who are currently earning a comfortable living vs those who are not, or how are the younger generation today faring against the younger generation of yesterday. If possible, I would love to have all these information readily available to make a more informed opinion, but that alone is a gargantuan task, which I suspect only people like Tim Urban from WaitButWhy (I had to google his name) have the luxury for. Because on the internet, it's easier to form an opinion based on only a handful of evidence rather than dig up everything. 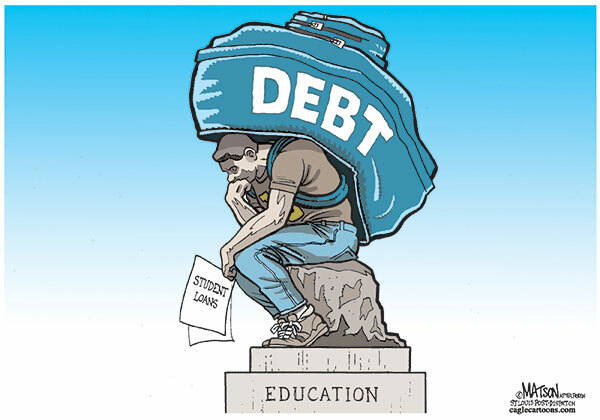 Student debt is a topic that has been gaining attention over the past few years, fueled by this perceived need of a university education in our generation. One common mindset is that in order to survive in today's society, you need to own a university degree. Without it, finding a job becomes much more difficult and indirectly affects your subsequent quality of life. 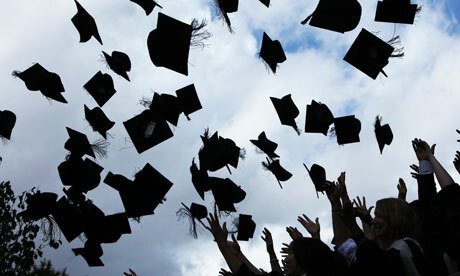 However, getting a university degree, although important, may not be as easy as it sounds. Firstly, it's terribly expensive. The amount of money that a student needs to clear those years in university is horrendous, you can even buy a car or settle a downpayment for a house with some of the tuition fees. While some of the luckier ones can offset their fees with scholarships or rich parents, most will need to borrow money in order to be able to qualify for education, most likely from a bank. It's ironic if you think about it. How something that is supposed to give young adults a headstart in life is actually pulling them back by dumping a huge amount of debt on them. And it's not like we have a lot of choices since it's virtually impossible to get a decent job without a university degree. The second challenge, in addition to the exorbitant amount charged by universities for a piece of degree, is that not all degrees are equal. The quality of your degree, or rather the likelihood of your degree getting you a job, depends largely on where you get your degree from. If you come from a not-so-renowned university/college, you are less likely to get hired as compared to someone who comes like from Harvard or Oxford. But because you would rather have any degree than none at all, you go private universities or colleges instead, which still charge a significant amount but does not give as much value in return when job searching. It's like we're actually paying for a piece of paper to make ourselves employable with all this obsession over a university degree. Sadly, as more and more people enter university/college, having a university degree alone is sufficient to get you a job after graduation. It has become a norm rather than an exception in the past to have a degree. In fact, most people today are expected to have a degree. To further stand out in the job market, you are expected to complete internships, which in many cases mean working like a slave with a token pay, all in the name of "experience" and "employability". There is definitely something wrong with the current system, where the young are made to jump through more and more hoops just to make themselves more employable. Tertiary education has become largely a degree milking area instead of its original purpose of being a place of higher learning. I don't have the straight answers to this, but at least, I think it is time for tertiary education institutions to stop being a money making machine. Perhaps the cost of tertiary education could be absorbed under the government, similar to primary and secondary education?